Jeremy is upset that they're using 'HTML5' to include CSS3, SVG, WOFF too. I've seen SVG and CSS3 versions of the logo - who's got a WOFF one? Update: I made a version of the logo in HTML only for the purists. 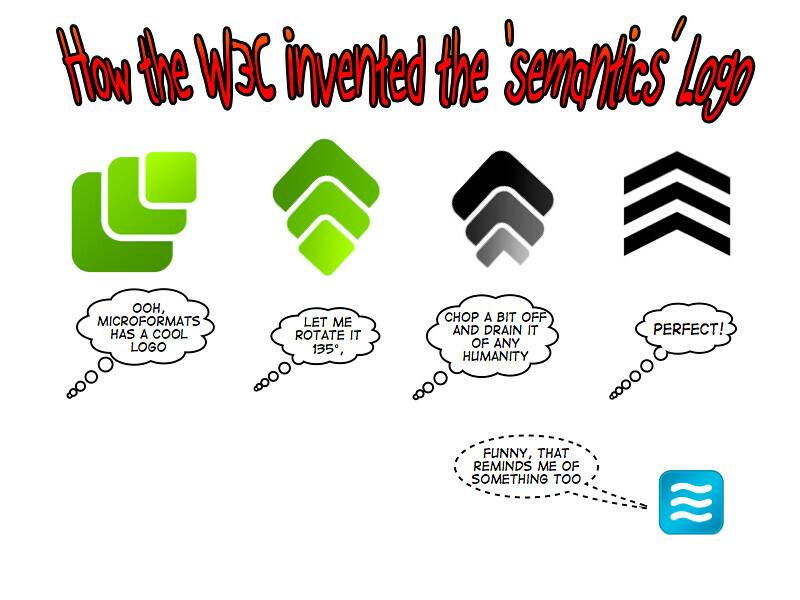 Congratulations semantic soldier! You've just been promoted to enlisted level 5: sergeant.